Wall Sleeves Flush mount units are stainless steel wall sleeves for casting in a concrete wall. They connect to adjoining pipes for a continuous pipe run through the wall. WA.WS-FF wall sleeves have connection flanges on each end. Protected Hex nuts at the back of the flanges provide seating for the flange bolts. A puddle flange on the sleeve prevents water creep around the sleeve into the structure. All American and International pipe diameters may be accommodated. 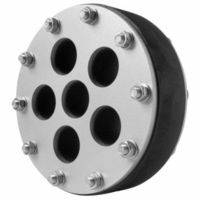 Flange to Flange wall sleeves provide a continuous transition through the wall for connecting pipes. Wall Sleeves WA-WS-FF stainless wall sleeves are used in WWTP, water treatment facilities, water tanks and other applications. Stainless steel: 304L-316L, schedule10s or schedule 40 sleeves may be ordered. 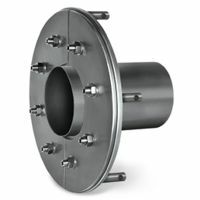 Wall Sleeves for pipes: WA-WS.F units, are extended flange units for the connection of incoming flanged pipes. WA-WS.F flanged wall sleeve may be a grouted as a retro fit in an exxisting wall for a new pipe penetration. Wall sleeves for pipes are available for any wall thickness and pipe diameter. 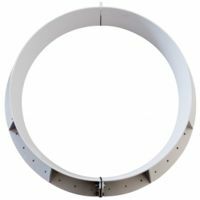 The pipe sleeve flange extends out from the wall for the connection and may be a full pipe length or a shorter piece. Carbon steel and galvanized wall sleeves also available. Wall Sleeves WA - multi PF units for wide concrete walls, or large pipe penetrations. Wall sleeves WA-KS-1 units allow large diameter pipes or wide walls sleeves to pass through walls. Plain end collars are mounted on each end. 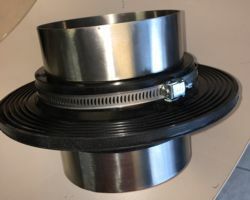 A puddle flange is mounted in the middle of the sleeve. Wall-Sleeve materials are stainless steel (304L & 316L) - Lengths up to 10 ft (3000 mm) are available. Applications: WA.KS-1 units form duct sleeves for large pipes, penstock water pipes and wide wall penetrations. Puddle flanges at the midway point prevent water creep along the outside of the wall sleeves into the structure, end flanges form part of the sleeve. The end flanges fit inside the wall door forms and are flush with the concrete wall. Pipe passing through the sleeves are made waterproof by using modular seal links suited for large diameter pipes. 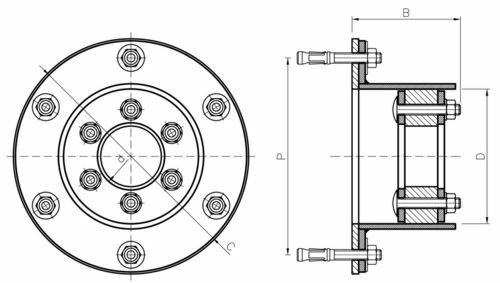 WA-GKD modular seal links are designed for larger pipe penetration sealing. 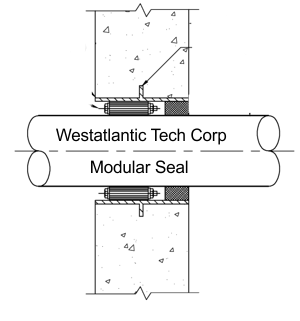 WA.GKD modular seal links are an advanced design seal for large pipe projects. They provide high pressure watertight solutions for all large diameter pipes and large diameter wall sleeve combinations. Contact Westatlantic Tech Corp. Underground tunnels, wind turbine foundation, floor slabs and dam structures are applications where WA-GKD modular seal links are used in combination with the larger wall sleeves. Multiple pipe seals through the same sleeve opening are also available for large diameter wall sleeves. Wall sleeves 304L stainless - through wall opening forms for single pipes are cast in during construction. Wall penetration sleeves puddle flange collars are mounted midway on the wall sleeve. Wall sleeves provide openings in concrete walls for pipe passage. The standard pipe sleeve is 12 inch long. Longer and shorter lengths are available, 316L SS material is also available. Puddle flange collars mounted midway on the sleeve provide water stops to prevent water leaking along the outside of the sleeve into the structure. Wall Sleeves units are available for all pipe diameters. WA-GKD Modular seal links, seal the annular between the pipe and sleeve for complete water proof pipe entry. Wall sleeves for conduit pipes, WA-MP-S "Multi pipe units" provide sleeve openings through walls for multiple conduit or pipe penetrations. A cluster sleeve is cast in the wall providing entry ports for multiple passage. Close together penetrations of pipes are accomplished. Minimum spacing wall sleeves allow close together multi pipe penetrations through walls. Pipes through the sleeves are sealed with with modular seal links or compression seals. All seals are supplied with the multi sleeve assembly. Materials: are 304L stainless schedule 10. A continuous puddle flange forms part of the build, the sleeve length fits flush with the wall inside the forms. 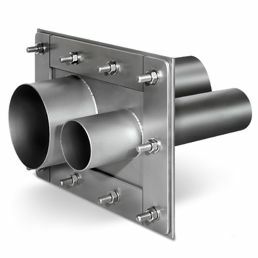 Stainless Steel Wall Sleeves for Pipe Cluster penetrations..
Wall sleeves clusters provide for two or more pipe entry points through a concrete wall. The sleeves provide minimum space between pipes. 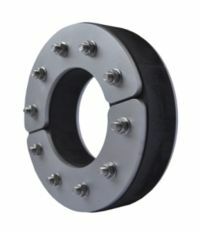 Pipe penetrations through multi wall sleeves are individually sealed with a compression elastomer seal or modular seals. Split wall sleeves may be bolt closed or a welded close units. Split wall sleeve are used when a new concrete wall is placed across existing pipes. Standard split sleeve lengths are 12 inch long and sized to accommodate existing pipes. Longer split wall sleeves are available. The annular space between pipe and sleeve are sealed with mechanical seal links. Other sealing forms may be requested by the customer. Two puddle flange collars are standard on the split sleeves. They ship with bolt closing hardware, flange gaskets and pipe seals ready to install. WA-Weld closing models come with beveled axial splits for welding. Split disk compression seals or modular seal links are supplied with the assembly. WA.WS wall sleeves for pipes up to 8 inches. The exterior is profiled for concrete bonding to the wall sleeve outside diameter. Standard lengths are 16 inch. Longer lengths are available. Sleeve diameter is determined by the pipe sizes that enter the building. 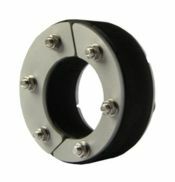 Wall sleeves ship with modular seal links that seal the annular space between the pipe and sleeve.. The standard 16" length may be field cut to size to fit 6", 8", 10" and 12," concrete walls. WA-GP disc compression seals may be used when multiple pipes through the same wall sleeve . Wall sleeve units WA.WS come complete with disc pressure plate seals for each end of the wall sleeve. EDPM, NBR or Silicone sealing elements may be selected for sealing the pipe. Multi - port openings WA-GP-W models are used when more than one pipe or conduit penetrates through the same sleeve. Split WA-GP-W sleeves are also available, for existing pipes. Wall Sleeves WA-ZVR models: are cast in a concrete or slab to provide entry points for conduit, pipes cords and communication cables. Cement bonded pipe sleeves, bonds with concrete - providing no leak around solutions. 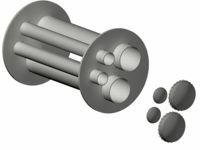 Pipes / Conduit pass through the sleeve into a structure and are sealed with Modular Seals links, or GP-SR disc seals which are provided as part of a the assembly. Compression seals, model WA-GP-SR pipe seals may be used with the WA-ZVR wall sleeve. They allow single penetrations or multiple pipe / conduit to pass through the same opening. 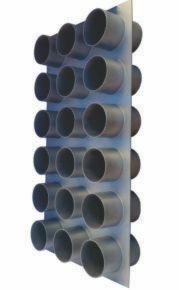 The cement bonded pipe sleeve can be set in concrete or block walls, with 2-3" of grout for embedment. 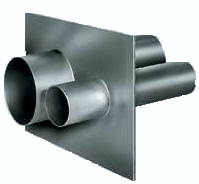 Wall sleeves WA-A-PD units provide openings for pipe passage that enter a wall at an angle. Angled ends and puddle flanges are angled to fit perpendicular in the wall. The same approach angle of the pipe is maintained, eliminating additional bends in the pipeline. Angled pipe wall sleeves may be split units for pipes that already exist and new concrete walls are built across the pipes. Pipes sleeves that allow pipe to penetrate a wall at an angle use long bolt WA-GP disc seals that have long bolt tighteners. The seals are 36 psi watertight pipe seals, for possible pressing water up to 80 ft head. 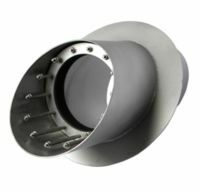 Split wall sleeves for existing pipe, are available with either weld closings or bolted closing. They are available for most pipe sizes and accommodate existing piping when new walls or slabs are placed over the pipe. Sealing elements may be EDPM, NBR or Silicone for heated pipe applications. 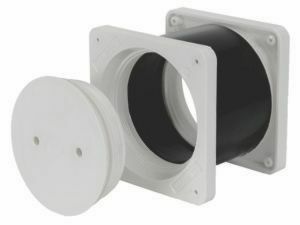 Wall sleeve seals external wall mounting units model WA-GP-T are fixed to an outside wall. WA-GP-T split wall sleeves, seal a pipe penetration from outside the wall. Leaking link seals from a previous installation are repaired using a WA-GP-T, the pipe remains in service while the leak condition is repaired. A gaskets seals the collar against the wall and a pipe seal is used to seal the annular space between the pipe and the "T" sleeve. 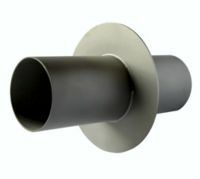 External wall mount thimble sleeves WA.GP-T type, split or non-split, fit all American and International Pipe sizes. 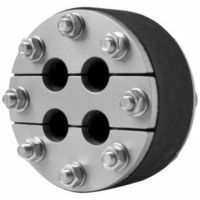 Multiple conduit entry sealing through the same opening using WA-GP-T thimble sleeves and multi port disc seals is a convenient way to seal two or more conduits through a wall. 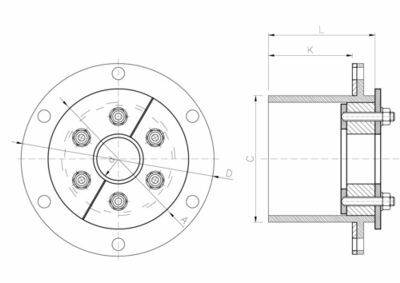 Split WA-GP-T units, are anchor bolt fastened to an exterior wall, the wall may be flat or curved, a gasket seals between the wall and flange. A Modular Mechanical Elastomeric Pipe Seals ship with the thimble sleeve for a complete watertight solution. Thimble sleeves are also used for pipe penetrations through metal tank walls. 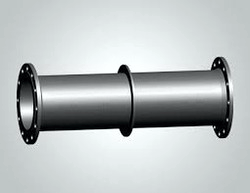 Split pipe sleeves for multi pipe penetration are custom sized assembles as per customer requirements. 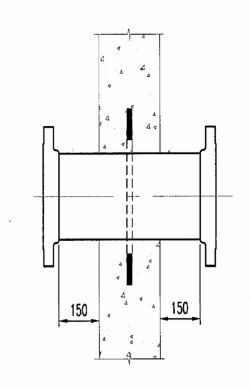 Typical drawing for GP-T split pipe sleeve. Wall Sleeves pipe and waterproof liner seals. WA-L-P pipe and waterproof liner seals use a fixed loose flange. Multiple ports or single openings allow both waterproof liners and the pipe (s) to be sealed through a walls. WA. liner and pipe sleeve seals provide water proof membrane seals and a pipe seals through one monolithic assembly. The assemble comes with Modular Seal links for the pipe and a clamp flange seals for the foundation waterproof liner. Wall sleeves WA.GP-C metal tank units seals pipe entry into metal tanks. WA-GP-C sleeves are bolted to a steel tank wall, deck plates or other steel structures. They are bolted to the plate wall, a flange gasket forms a watertight seal.. The pipe or conduit passing through the sleeve is sealed with a WA-GP-SR compression Disc-Seal. 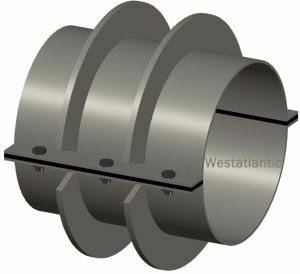 For Several pipes through the same wall sleeve, WA-GP.T disk seals may accommodate several pipes through the same sleeve opening. Use a WA-GP-WK for conditions where the pipe or conduit is already in place. Various Configurations for Wall Sleeves with flange plate bolting. 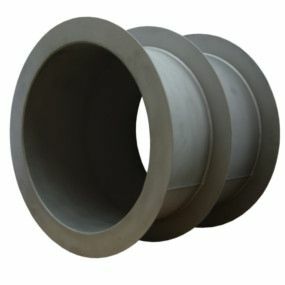 Off Center pipe - Centered pipe- Incline pipe - Angled entry pipe sleeves and seals..
Slab-sleeves: for pipe passage through concrete floors. WA-slap-seals with EDPM puddle flanges. Slab sleeve units for pipes through concrete slabs in parking garage floors, warehouse floors are suitable for pipe penetrations through floors as low as four inch thick. Stainless steel band straps secure the EDPM Puddle Flange to the sleeve. The Puddle Flanges prevent water creep along the outside of the sleeve. Sleeve sizes are available to allow pipe passage for both large and small pipe diameters. Modular pipe seal links or WA-GP-SR pipe seals are supplied with the sleeve assembly for a total watertight pipe passage. Extended sleeve lengths protrude above the floor if kick plate extensions are required. WA - BD building entry ports allow power supply and communications cable passage into a structure for temporary power supply or communication facilities. Cast in the wall the sleeve entry ports may be closed when no longer required. WA-BD units provide openings for supplemental supply to secondary substations, or structures. The cables may be withdrawn after use and a waterproof plug seal closes the entry for future use. Cables can be fed into a substation chamber or concrete wall structure above ground while construction work is in progress. Main entry man doors can be closed and locked for security. Temporary communication bundles entry between buildings, between floor slabs, construction sites, training classrooms and emergency operations control. 68 to 90 mm diameter sleeves / 80 to 350 mm walls. Watertight ready for power cable passage or other temporary entry. Water-resistant wall sleeves with threaded end cap closing. Units are custom fit to any wall thickness. Various configurations may be supplied with threaded caps for temporary passage of power cords and other entry requirements. Single wall sleeves or multi wall sleeve ports are available. Entry ports for power supply cables. communication lines, water lines, gas lines or other temporary requirements. The ports may be closed with insert mechanical plugs when the passage way is no longer required. Contact Westatlantic with your detail requirements. Sealing elastomers for single pipe penetration, multi pipe penetrations through the a single sleeve, small annular space seals, off center pipe seals. 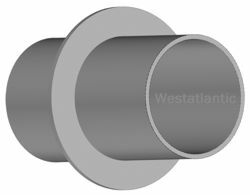 WA-GP Disk seals are used if more that one pipe or conduit passes through the same sleeve, or when the pipe is not centered through the Wall sleeve. Wall Sleeves Flanged Pipe Stainless Steel, long runs. WA-LR Flanged pipe stainless steel sections 304L, 316L material. Diameters 2" to 40". The pipes may be imbedded in concrete slaps or exposed. 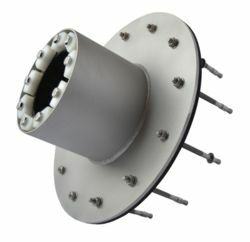 Wall sleeves, flush mount, Flange to Flange connections, cast in the concrete wall, water pipes, sewer pipes, vent pipes, oil pipelines, Stainless steel wall sleeves with puddle flanges for pipe passage through concrete walls. wall sleeves split model wall sleeves, wall sleeves for large pipe diameters, wall sleeves for thick walls, repair leaking link-seals, thimble sleeves, USA: Texas, TX, Houston, New York, NY, Illinois, IL, North Dakota, ND, Iowa, IA, Ohio, OH, Michigan, New York, NY, Kentucky, KC, California, CA, Colorado, Denver, Louisiana, LA, Florida, FL., Pennsylvania, PA. Wisconsin, WI. Canada, Ontario, Oakville, Toronto, London, Hamilton, Mississauga. Alberta, AB; Edmonton, Fort McMurray Calgary. British Colombia, BC; Kelowna, Vancouver, Prince Rupert, Kitimat. Saskatchewan, SK; Regina, Saskatoon, Prince Albert, Esrevan, Swift Current. Manitoba MB; Winnipeg, Thompson. Quebec, QC; Montreal, Quebec City, Trois-Rieviers, Chebougamau, Sherbrooke. QC, Alberta, Saskatchewan, Manitoba, Quebec, New Brunswick, NS, Newfoundland..